It is summer… and that means the western carpetbaggers and the Eritrean scalawags in their employ will be out once again, trying to intimidate and harass the Eritrean people, try to dissuade them from visiting their beloved country. They will produce “articles” and “research” to undermine the self-reliant government and people and their miraculous achievements against all odds, and insult Eritreans who celebrate with them. It is a ritual that the Eritrean people, especially those living in the Diaspora have become accustomed to. The anti-Eritrea agitations start around independence in May and reach a crescendo on or around September 18. They have become boringly predictable and their self-serving messages, nauseating. These scalawags burn the midnight oil churning out letters and making calls to venues, threatening them if they didn’t cancel the Eritrean Community Festival and other events. The NED sponsored groups have gone as far as labeling the Eritrean Communities as being “supporters of terrorism”, of being anti-Christian etc. as they attempt to convince venue operators to deny them service. The Eritrean Diaspora have a track record for being honest, hardworking and resilient. Eritrean Festivals and events around the globe have always been peaceful and successful and many Eritrean Diaspora communities have established a 40-year old relationship with hotels and other Festival venues that have hosted their events in the past. These childish and cheap attempts to disrupt Eritrean Festivals and other celebrations are a sign of desperation and reflect the lack of moral fortitude in their anti-Eritrea campaigns…for some it is a reflection of their sorry upbringing (ata’ababiya zibedelom). The good professor must know that there are even more Eritreans living in Eritrea who are seen on Eritrean television “parading with joy expressing their support to the government”. Only someone blinded by hate and denial could miss the millions during the many national events who celebrating on the streets of Asmara and other cities. Only his ilk- “like minded academics & intellectuals”- could have missed the extraordinary performances at the 6th Youth Festival in Sawa in which thousands celebrated with their leadership and friends who came from all over the world. The people are not hiding in their homes, they are openly celebrating in cities and towns across Eritrea. The Diaspora Eritrean Communities who are very much conscious of what they are doing, and why they choose to celebrate in grand style, year after year, the impressive developments in their beloved country of origin, do not need advise from those who have no relations with Eritrea and its people-from those who do not represent them or their compatriots back home. Long before Eritrea became independent and when it looked like the Eritrean People’s Liberation Front was winning the war for independence, some external forces set out to have a presence in Eritrea. One way of assuring that presence was through the many “missionaries”, “NGOs”, religious and aid groups (usually tied to one of the established churches) in Eritrea. But there were also those who posed as tourists, journalists, researchers etc. searching and recruiting nationals who would play the role of the scalawags. Lessons learned from the plight of the newly independent African states served as a good lesson for the newly independent State of Eritrea. There was another group, longtime residents of Eritrea, mostly Ethiopians, whose true colors were exposed during the 1998-2000 Eritrea Ethiopia border conflict. So the potential carpetbaggers and scalawags in Eritrea were easy to identify. For Eritreans, both in the country and in the Diaspora, the potential “scalawags”, the opportunists, were always known. Obsessed with self-aggrandizement, seeking notoriety and presenting themselves as better than others, these opportunists stuck out like a sore thumb, so when they pounced in 2000, with their gutter politics bag of hate in hand, they were summarily rejected. Judging from the declassified records and information available on the National Endowment for Democracy and other sites, it is obvious that these two were recruited long before Eritrea’s independence and the Eritrea Ethiopia “border conflict” which was escalated into an all-out war of aggression and invasion of Eritrea, provided the opportunity for the modern day carpetbaggers and scalawags, to launch their coordinated campaigns against the state of Eritrea and its people. It should be recalled that when the Emperor Haile Selassie’s regime was overthrown and the military dictatorship of Menghistu Hailemariam took over Ethiopia, Bereket Habte Selassie said that he had “resigned” form his job at the World Bank and was returning to Ethiopia. In the early 70s, when Eritrean students in North America and around the world were leaving the comforts of their homes to join their comrades in arms in Eritrea, who were struggling for Eritrea’s independence, Bereket Habte Selassie went instead to Ethiopia. He said then that he was responding to “yenat ager tiri”-the call of the motherland. He left his job at the World Bank and returned to Ethiopia where he served as Co-Chairman of the Inquiry Commission. According to the cables, Bereket Habte Selassie was not keen on having Professor Mesfin Woldemariam on the Commission. There are many questions that remain unanswered to date and may have been buried with General Aman Andom, but recently released US government cables may shed some light on Bereket Habte Selassie. Of particular interest to this author is how closely the US State Department monitored his activities and how they seemed to know more about his movements in Ethiopia and Eritrea. Difficult but responsible role? Wonder if all Worl Bank employees are accorded this kind of treatment. What was Bereket Habte Selassie’s assignment in Ethiopia-more importantly, who assigned him that role? Wonder what he intended to do with those pictures? What information was he providing about the Eritrean liberation movement? For some reason, there are still some cables that mention Bereket Habte Selassie that have not been declassified…but that does not mean they are not accessible. The author will share them as they come…. So the Eritrean intellectuals, fearing isolation from their cozy coterie of anthropologists and historians, “peers” in western academia, have relinquished their right to write Eritrea’s history and define their nation, have essentially deferred that right to western anthropologists and historians who have an interest in its variation. In the first few years of Eritrea’s independence, they were bubbling with pride as the western media showered praises on Eritrea and its leadership. Today, they are falling all over themselves and their credentials to distance themselves from the Eritrea and its leadership. The scalawags remained silent as Eritrea’s cultures, history, traditions, and especially the role of the EPLF in Eritrea’s liberation from the clutches of colonialism were being undermined and vilified. It was after all, their history too. In any case, their irrelevancy long assured, Eritrea’s illustrious history has been meticulously documented in timeless books, songs, dramas, poetry etc. by those who carried multiple arms on their shoulders-and volumes in their hearts and minds. Anyway, it is their loss…as there are thousands that will ensure that Eritrean history, in all its brilliance, will be passed on for generations to come. It has been close to 14 years since the end of the Eritrea Ethiopia border conflict and the signing of the Algiers Agreements, and 12 years since the Eritrea Ethiopia Boundary Commission (EEBC) delivered its final and binding delimitation decision which unequivocally awarded Badme, the casus belli for the Eritrea Ethiopia border conflict, to Eritrea. The anti-Eritrea campaigns have been going on for just that long. What happened in 1998-2000 that would make the scalawags and carpetbaggers change their tune on Eritrea? What were they saying about Eritrea back then? Considering the individuals who make up the government of Eritrea have not changed-why such hostility and relentless, unprecedented, unprovoked orchestrated campaign of defamation and vilification-the kind that has been witnessed in the last 14 years? What gives? Who is behind them and why? The scalawags and the carpetbaggers (their handlers) have gone to great lengths in a futile 14 year campaign, to provide the public with a new “narrative” on Eritrea. Whilst the western public may have been swayed in its opinion of Eritrea, its leadership and people, they have had very little if any influence the people that matter- the conscious, patriotic and united people of Eritrea around the world. 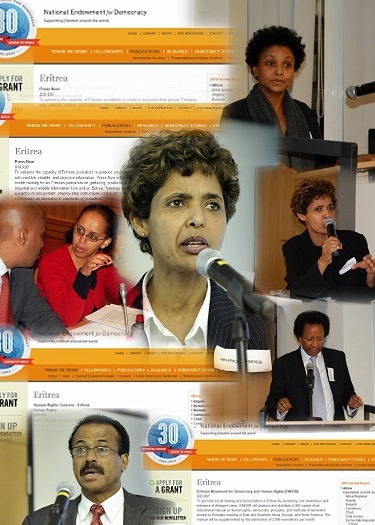 They may have spent millions churning out ‘research’ papers (over 50) on the Eritrean Diaspora, but have not been able to win its heart and mind. On the contrary, they have contributed to the Eritrean people’s understanding of world politics, realpolitik and its nuances, diplomacy and the impotent UN and its tentacle organizations etc. etc. The Eritrean people had no qualms with the new fad, the founding of the many funded Eritrean “human rights” and “democracy” groups and organizations that mushroomed in cyberspace since 2000. The Tigrinya saying, “miblae mibl’u, zib’e adina yiblaayo”-loosely translated as- if it is for the eating, let our own hyenas eat-applied. 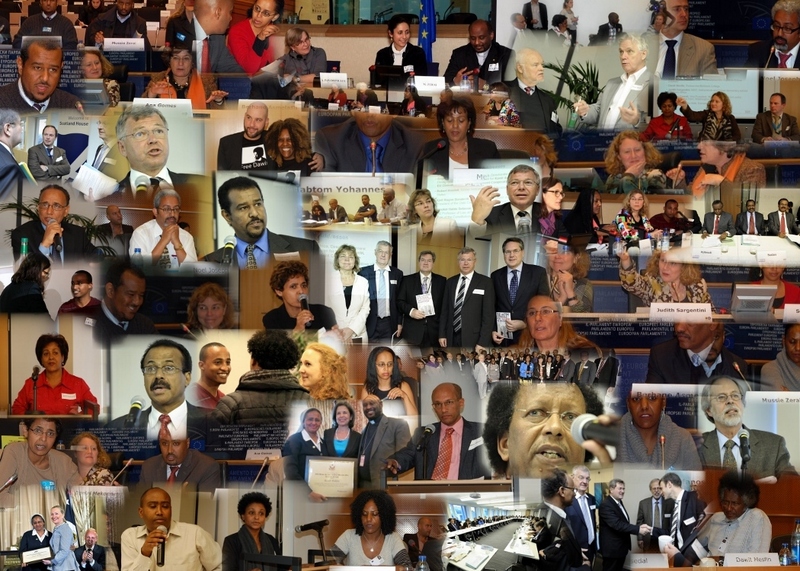 As long as their activities didn’t infringe on the rights of all the other Eritreans in the Diaspora, but most importantly as long as they did not infringe on the rights of the Eritrean people to development, peace and security, they could set up as many NGOs as they pleased. But today, these eating hyenas have not only gone crazy in their anti-Eritrea activities, some (the 2% activists) even openly working with the minority regime in Ethiopia in its campaign against the Eritrean Diaspora, there are others who are running projects funded by Ethiopia against the State of Eritrea and its people. The hyenas have turned on the people of Eritrea. The people of Eritrea are now saying enough! Enough of the idiocy and contempt. Eritreans are not intellectually deprived and know what is best for their own country and people. These scalawags are using the suffering of their sons and daughters (Eritrean youth), human trafficking victims, in the Sahara desert, Ethiopia, Sinai, Lampedusa, Israel etc. in their anti-Eritrea campaigns. The havoc and pain they have caused will not be easily forgotten or forgiven and they will answer for their role in the trafficking and dispersing of Eritrea’s youth. The magnanimous and conscious people of Eritrea can differentiate between their true friends and enemies, between those who are working in defense of the nation’s sovereignty and territorial integrity and those who are working to undermine both. As they have in the past, they also know the role of the “intellectual and scholar” in the political life of their beloved nation and recognize the true scholars and intellectuals, from those who possess a “western education”, but whose minds remain colonized. In the next segment of Eritrea: The Carpetbaggers and the Scalawags Part 3, the author will look at the individuals and groups that constitute the carpetbaggers, and how they sought to undermine Eritrea’s economic, social and political development…and their surrogates in the Eritrean Quislings League, the scalawags, who were always not far behind…ready to do their bidding…ready to serve as the “Eritrean faces”, ready to serve as minesweepers in the psychological war against Eritrea and her people. This entry was posted in Uncategorized and tagged Africa, Asmara, Bereket Habte Selassie, Eritrea, Eritrea Ethiopia, Ethiopia, Lampedusa, President Isaias Afwerki, the carpetbaggers, United Nations Human Rights Council, USAID. Bookmark the permalink.